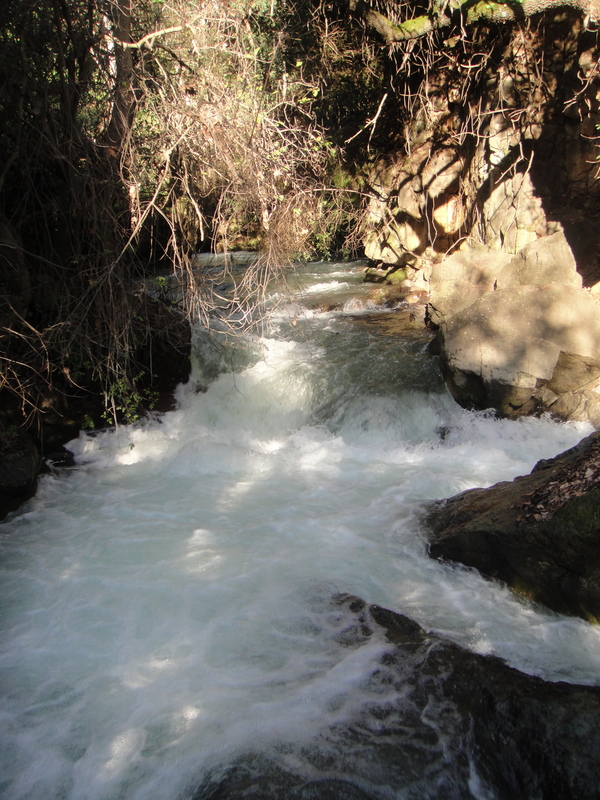 Located in Israel’s Golan Heights region, the Banias Nature Reserve serves as a strong reminder that Israel’s capture of the Golan Heights was about a lot more than just punishing Syria and seizing the military advantage afforded by occupying high ground. You see, Mount Hermon is in the Golan Heights. And the Hermon Spring emerges at the foot of Mount Hermon. Mount Hermon acts like a sponge, absorbing the rain and snow that falls generously upon it. The precious water then percolates through the limestone until it emerges as springs at the foot of the mountain. 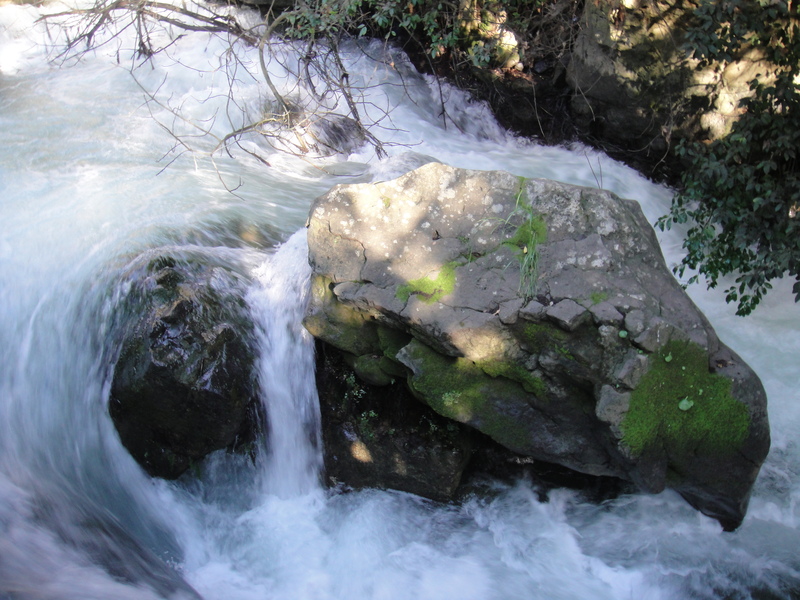 These springs create the Dan, Hermon (Banias), and Senir (Hazbani) streams, which are the headwaters of the Jordan River. Control of water is important everywhere, but particularly so in the Middle East. 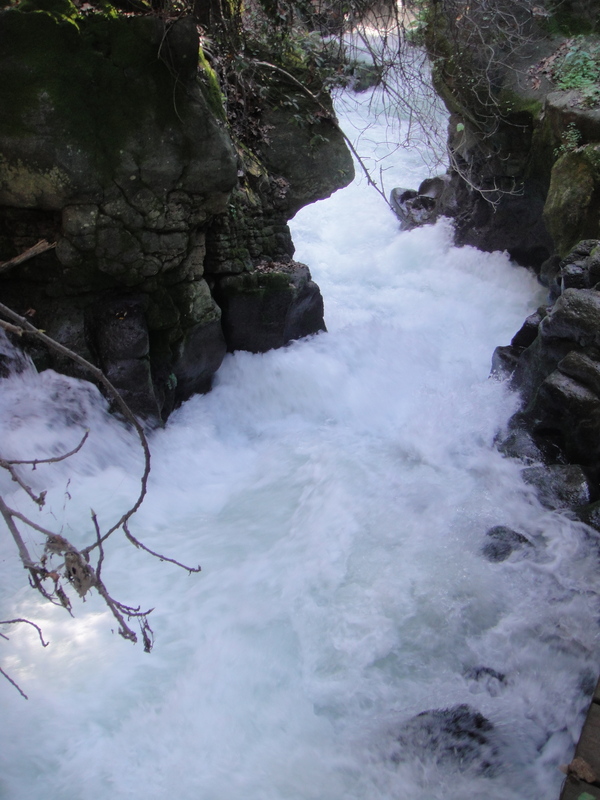 There is a fair amount of whitewater here, but before the Hermon Stream enters Israel’s agricultural heartland in the Hula Valley, its gradient becomes more moderate. In the Hula Valley, fields are cultivated right up to the banks of the stream. 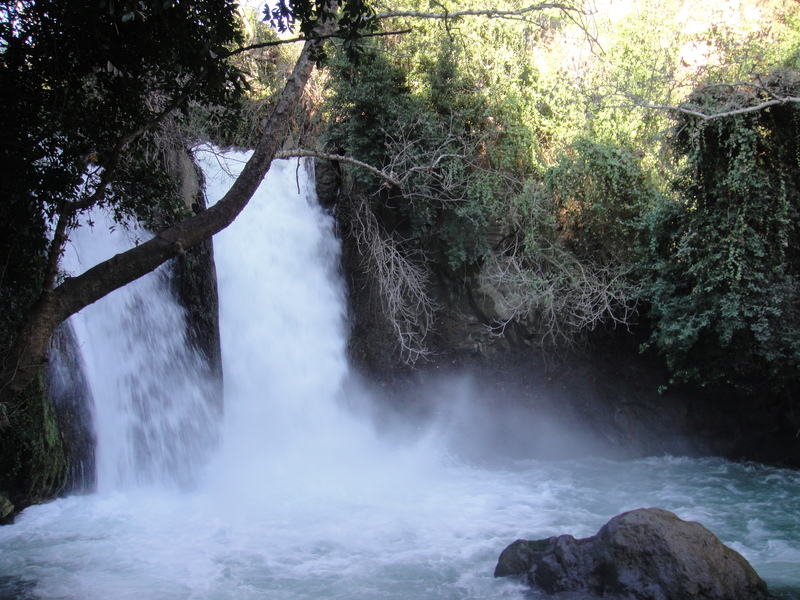 Though there is no mention of the Banias in the Old Testament, it is believed that the area was documented in biblical texts as Baal-Gad and Tel Dan. 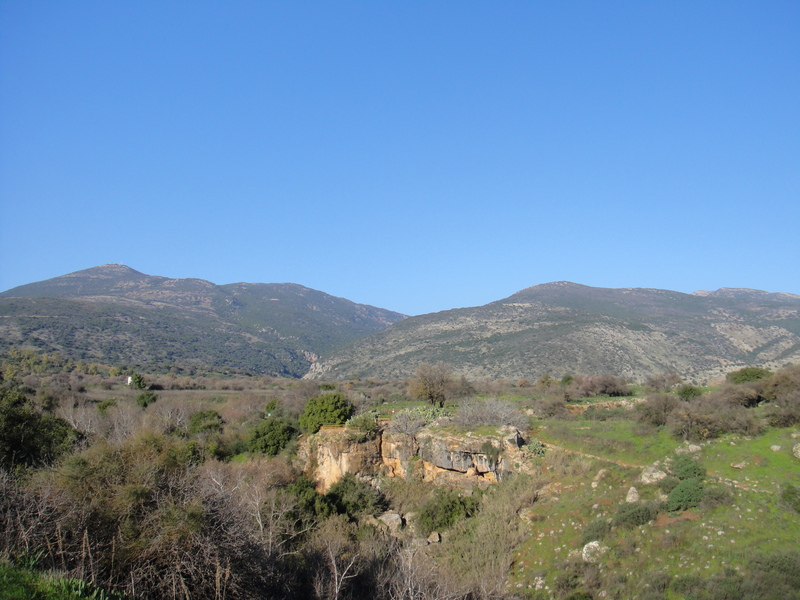 It appears with the name Banias in historic documents dating back to the third century BCE when a large Hellenistic settlement established itself near the Banias riverbed. While under Roman rule, Banias was annexed to Herod’s Kingdom and later passed on to Herod’s son, Emperor Philip the Tetrarch, along with the rest of northern Palestine and made into the capital of his kingdom. Later, the Crusaders saw Banias as a natural border between their kingdom in Palestine and the neighboring Muslim realm, whose center was Damascus. Because of its position on the crossroads between Sidon and Tyre in Lebanon and Damascus, Banias was considered a strategic asset. As a response to the Crusader conquest of Galilee in 1099, the Muslims fortified Banias. But in 1129, due to internal Muslim squabbles, control of the city was lost to the Crusaders. The Muslims finally recaptured Banias in 1132. 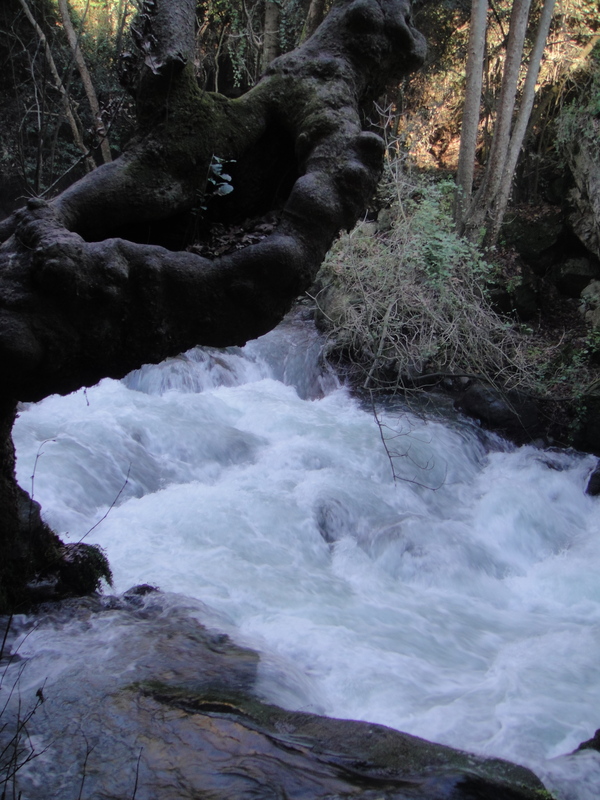 The water flowing downstream from the waterfall… Trees down in the forest along the banks of the Hermon Stream include Mount Tabor oaks, Kermes oaks, Syrian ash, oriental plane trees and willows. 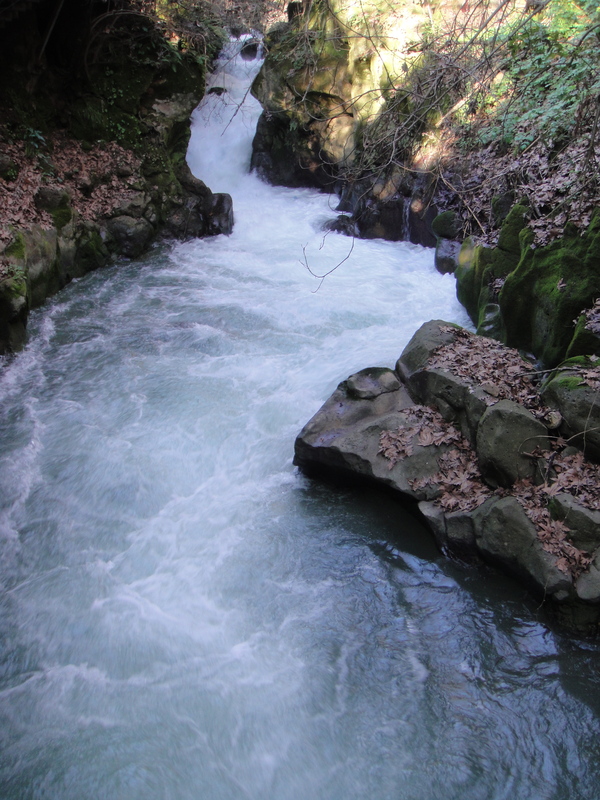 Tags: Banias, Banias Nature Reserve, Hermon Stream, Israel, Justin Ames, The Golan Heights. Bookmark the permalink. Don’t you feel that this name is more “like it” than the alien name (a name dug out from the deep pits of history) you used?